“A clean office is vital to the productivity of a business”, said Reigate estate agent, Robert Leech. As well as having a positive impact on positivity, a well kept office will create the right perception when clients or customers pop in. In this article I will provide you with a number of handy tips which will make cleaning your office space an easy and efficient task. Employees and customers are the people whose opinions matter the most, so it would be foolish not to ask them for their opinion. Ask your staff how they think your business premises could be improved. Involving your employees in the improvement process will be good for morale and they may even suggest changes which will positively impact their productivity. Also ask your customers for their opinions and make changes according to the areas they identify. At least once a month, remove all items from shelves, desks and table surfaces and clean with an all purpose cleaner. Dust any files and books as you return them to their places. If you feel that you don’t need something, get rid of it, its surprising how much space this will save you! By doing this once a month, you will reduce the amount of time needed to clean your office weekly. Simply dust the work surfaces once a week and only move things which are quick to move. 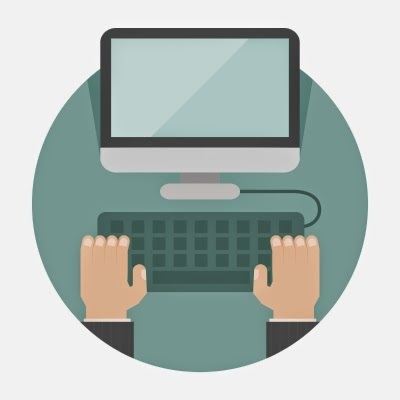 Computers make up a good portion of our office configurations, and since they are used so regularly, often become the dirtiest items in the room. Using a clean microfiber cloth, wipe all computer screens thoroughly. Use compressed air to clean out computer keyboards. When you have done this you can clean the entire keyboard using cotton swabs and rubbing alcohol. Cotton swabs are great for accessing the detailing on the keys. By doing this you will disinfect they keyboard and help to prevent the spreading of unwanted germs. When you have finished cleaning the keyboards, dust computer towers, telephones and fax machines using a microfiber cloth. If you happen to spend a considerable amount of time in your office, then you will probably have the spare time to organize things in the right order. Organizing items in such a manner will eliminate the need to clean messes further down the line. All it takes is making sure that everything has its own place and there aren’t big piles just waiting to collect dust. Setting up a system that you stick to will make will make future cleaning efforts a lot easier. The floor is one of the first things that people look at when they enter a commercial office space, so it’s paramount that it’s cleaned regularly. Depending on the type of flooring that you have in your office, mopping it at least twice a month is fine. If you have carpet, it’s recommended that you use a carpet cleaner, but make sure you vacuum it thoroughly first. Vacuuming up any debris before you wash your carpet will make the task a lot easier and prevent your carpet washer from getting clogged up. Cleaning your windows isn’t a task that should be ignored, especially when you consider the impact that clean windows can have on the aesthetics of a commercial building. Cleaning windows from the inside is a relatively easy task; all you will need to do this is a glass cleaning solution, a rag and a lint free cloth. 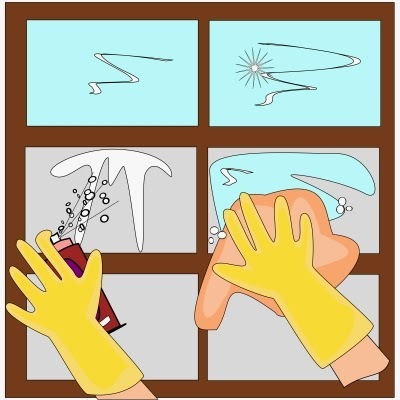 If you are cleaning your windows from the outside, use a warm bucket of water and some glass window cleaner, when you are done cleaning it, wipe it dry with a lint free cloth. Cleaning windows can get tricky if your office isn’t on the first floor. If this is the case, it’s recommended that you use water fed poles. Water fed poles are designed to clean elevated windows and will take the danger out of cleaning yours. The first thing to remember if you’re wanting to create an illusion of space is that light colours are your friends. Creating a white canvas immediately makes a room look bigger and more airy, but if you’re looking for something a little softer try light neutral tones, tinted whites and pastels like pale creamy yellow. Using the same colour paint on skirting boards and window frames will add to the illusion, opening up the space and fooling the eyes into seeing a larger area. Make the most of mirrors. Designers have long used mirrors to create an illusion of space, and today there are a multitude of styles and effects to choose from. A large full length mirror is a great way to open up a room and immediately reflects light; another handy tool for making rooms feel bigger. Use the same flooring throughout. “Having different coloured floors in each room can make smaller spaces seem cramped” says Garrett Whitelock, estate agent in London Bridge. As well as creating a slightly chaotic, mismatched effect. If each room has the same type of floor, your living space will flow much more freely and feel larger. Don’t skimp on the curtains. Clever use of curtains and blinds can also help your rooms look bigger- use a curtain pole that extends beyond the length of the window to create an illusion of space and lighter colours also makes the room feel lighter and brighter.